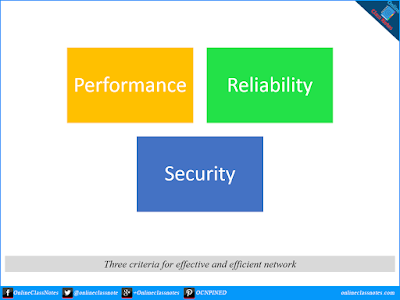 A network must meet a certain number of criteria to become useable in real world situation. Most important of these criteria are the three criteria as follows. Performance is a measurement of various factors such as the amount of time requires for messages to travel from one device to another, the time it requires to get a response starting from an inquiry. 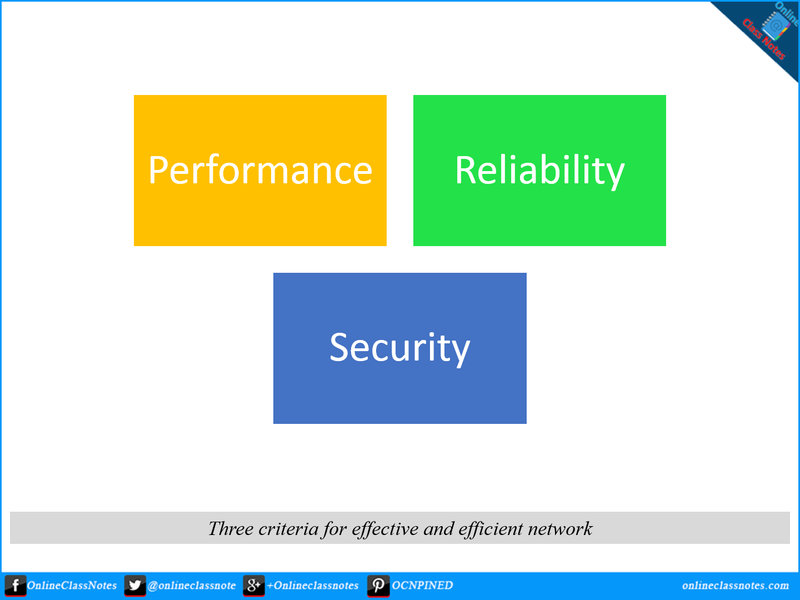 Performance of a network, however also depends on a number of factors such as number of active users, type of the transmission medium, capabilities of the connected hardware and efficiency of the software etc. Network reliability is measured by the frequency of failure, time it takes to recover from failure, the network’s robustness. If a network isn’t reliable it would be hard to transfer big data as the connection might loss in the midway and can make longer delay than expected. Network must be secured. The data that is sent should reach its destination safely without any third-party reading or altering or destroying the data in the midway. Along with this, a network must have secured procedures to recover from data losses and breaches.